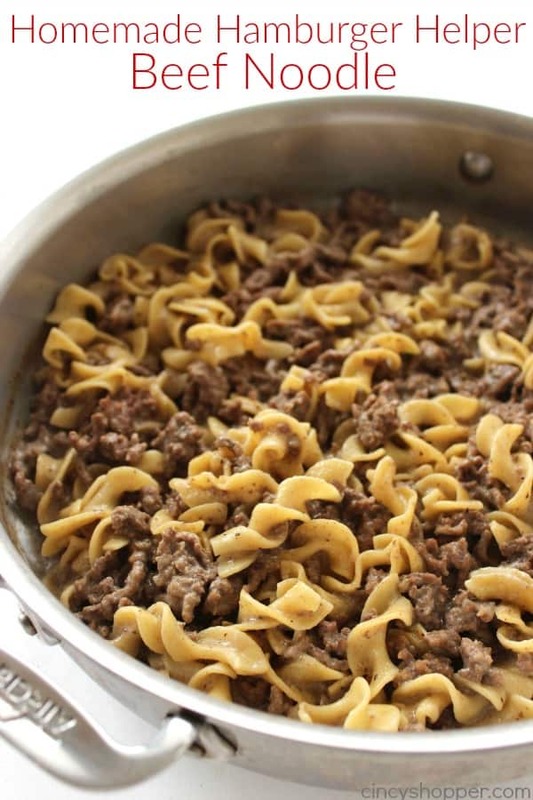 No need to buy store bought when you can make this Homemade Hamburger Helper Beef Noodle right at home. With a few simple ingredients and a few minutes time, you can avoid the boxed stuff. 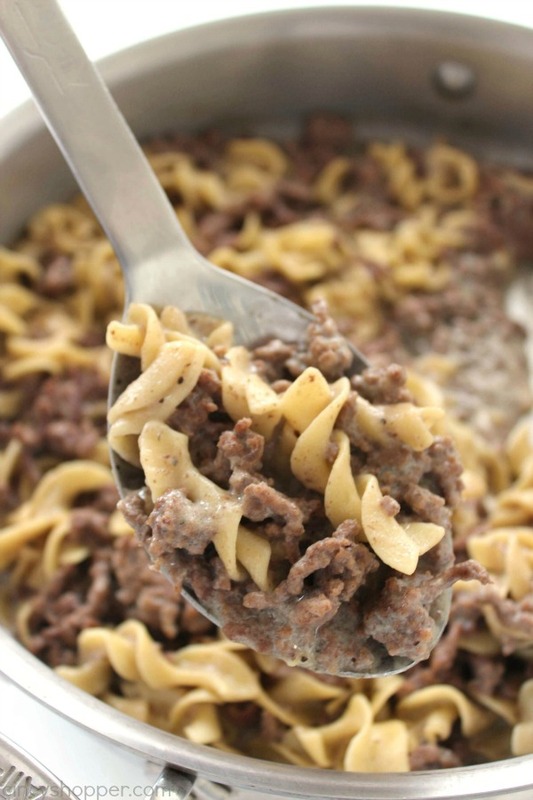 I always found really great deals on boxed Hamburger Helper when I spent time using coupons. My family loves the stuff, especially my hubby. Our favorite has been the Beef Noodle variety. 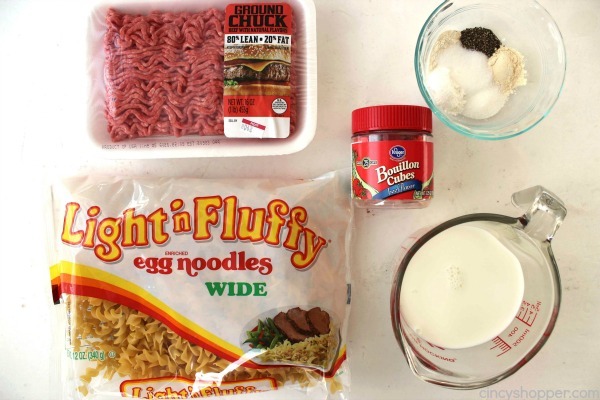 Over the years, Betty Crocker has made quite a few different variations of the quick and easy dinner idea. When surfing the web, I came across a blog, The Chickens In the Road. 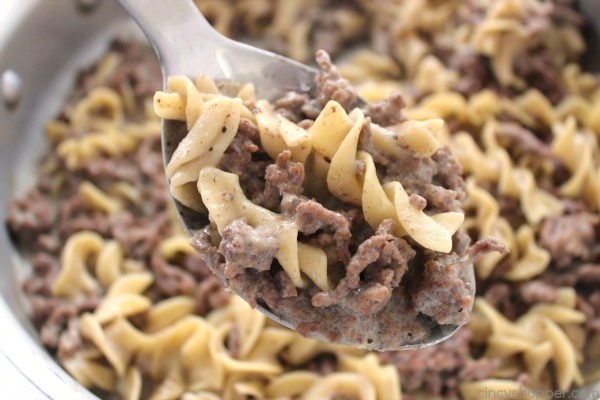 This site has quite a few different recipes for Hamburger Helper but they did not have one for our favorite Beef Noodle. What was a girl to do? 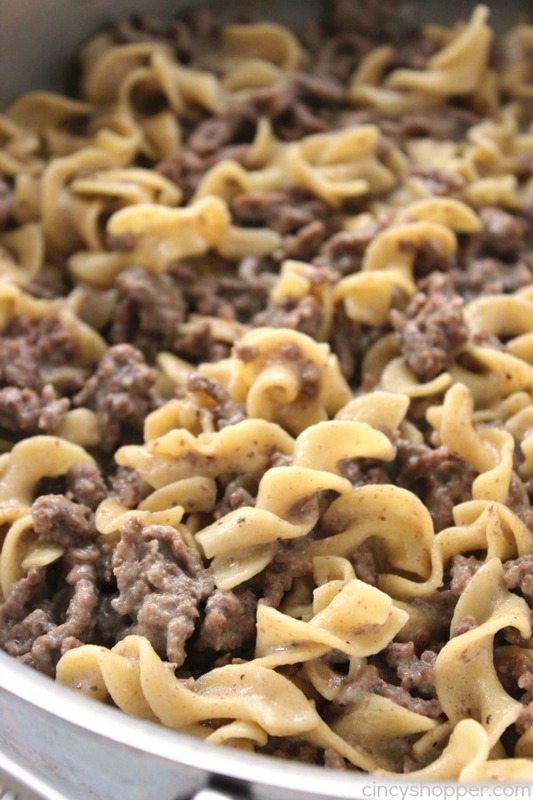 I decided to take a chance at making my own Beef Noodle Hamburger Helper. It was so super quick and easy. I had everything right in my pantry to make homemade. 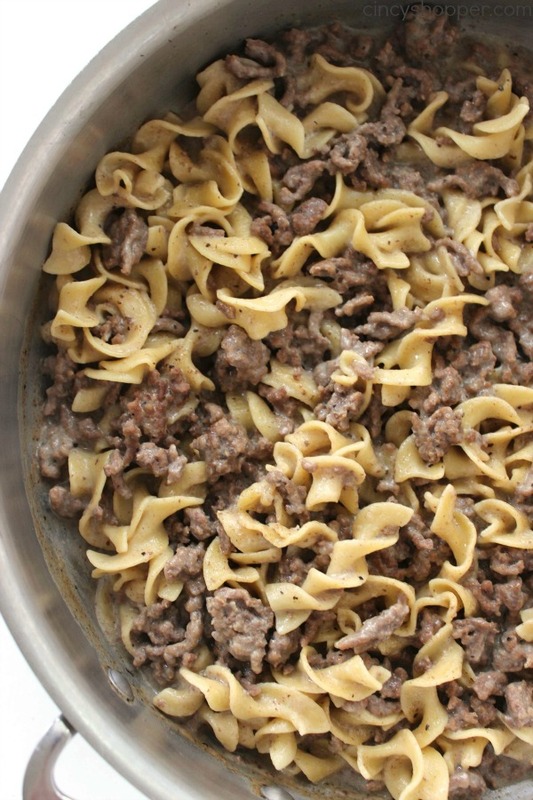 Hamburger Helper is perfect for making when I am pressed for time. 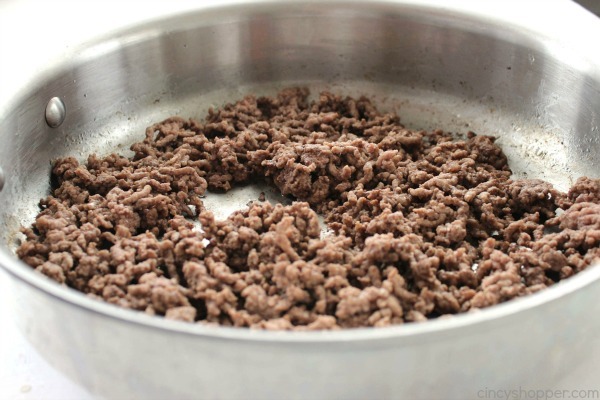 I can quickly brown ground beef and have dinner on the table in less than 30 minutes. 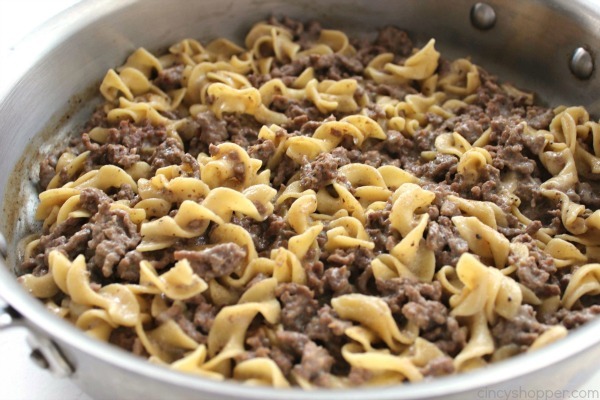 To make this recipe, you will want to have a pound of ground beef, wide egg noodles, milk, and a few spices. 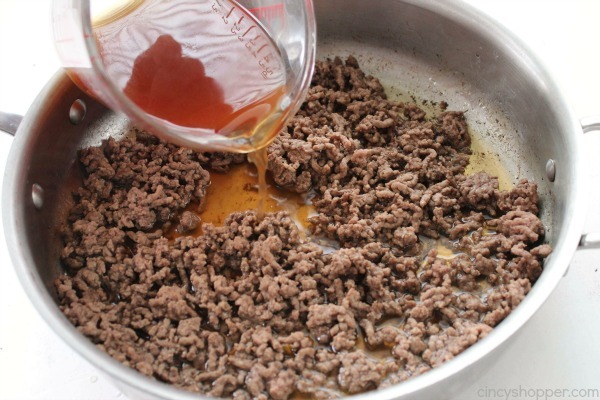 The beef bouillon added the same flavoring you will find in the box mix and worked perfectly. 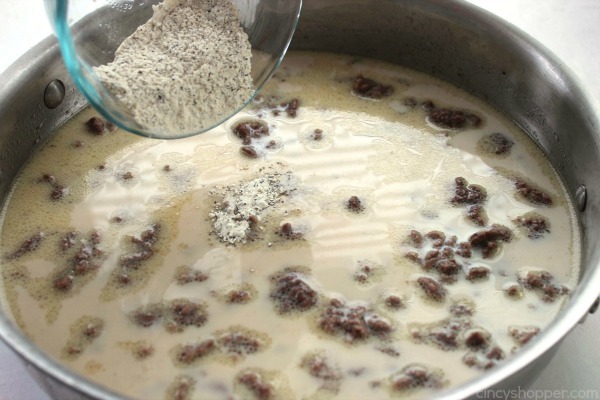 In a small bowl, mix together cornstarch, sugar, onion powder, garlic powder, salt and pepper. set aside. 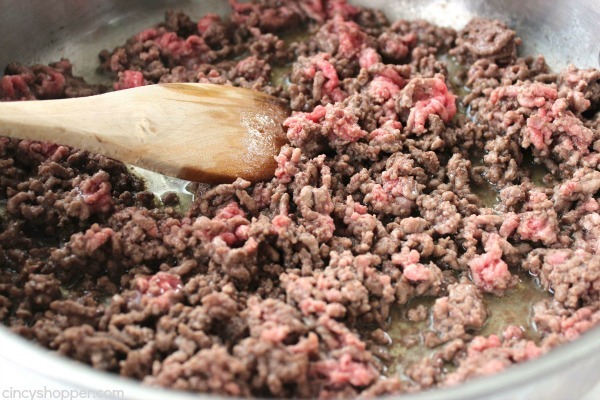 Brown ground beef in a large skillet and drain excess fat. Boil water in microwave safe bowl. Add bouillon mixture to skillet and stir to incorporate. Add milk and stir to incorporate. Add seasoning mixture and stir until blended. Add egg noodles, stir and bring to a boil. 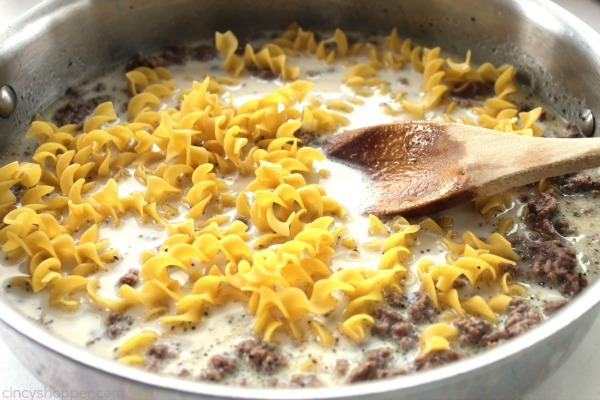 Reduce heat to low, cover and simmer for 12-15 minutes or until noodles are tender. Remove from heat and let stand for several minutes to thicken. Adapted from: Chickens in the Road! 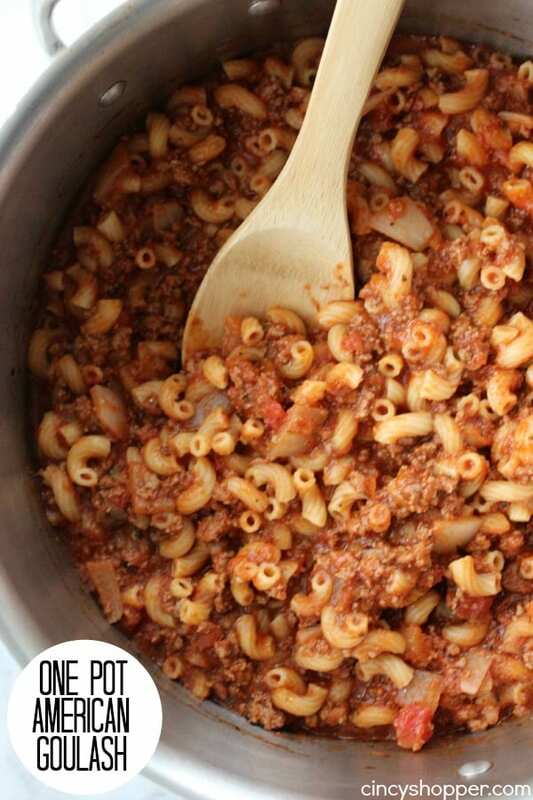 Do you have a favorite quick and easy homemade dinner idea? I know we will be making this recipe very frequently. 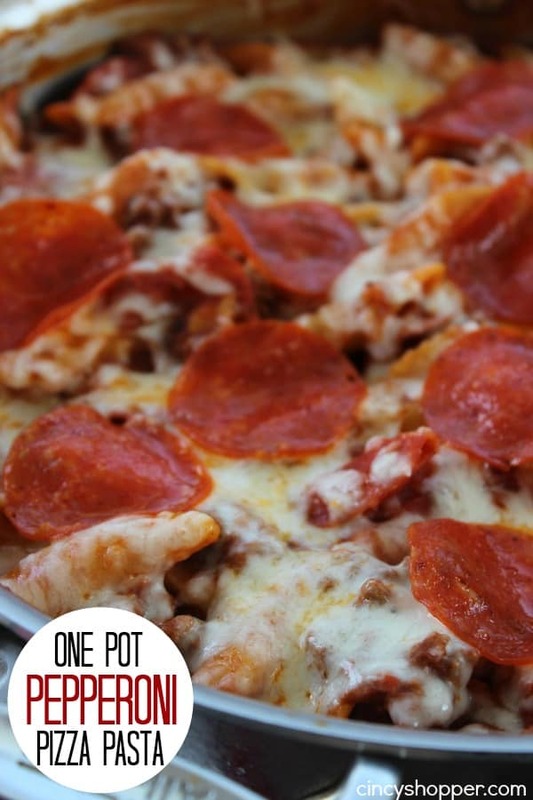 I cannot wait to make this- my family will go crazy for it! Pinning! I made this tonight. 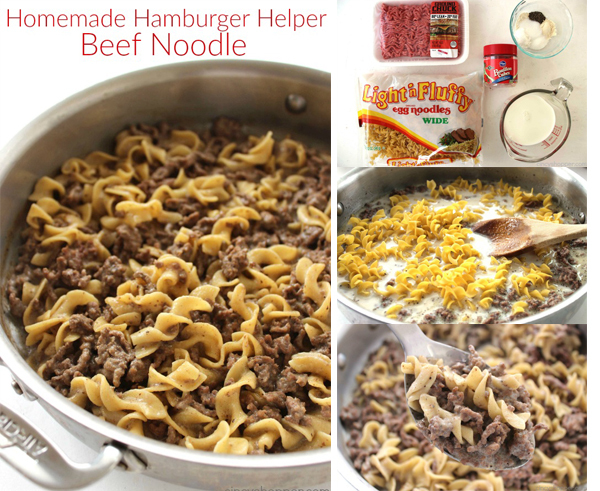 My guys love Hamburg Helper and I love being able to make it healthier. Mixed in cut froz string beans and a loaf of garlic bread. Dinner in under 30. Verdict. Put on rotation Mom! Made this tonight for my family. It was amazing! I used gluten free macaroni nodles and it turned out great! Thank you for this recepie!!! Made this tonight. Flavor was right on, but for some reason it was way too salty. Will make gain but ext me will cut down on salt or bouillon. Mine was too salty also, but loved the flavor of it. I will not add the salt next time because I think the bouillon cubes are probably salty enough. I would implore your web devs to fix the social network sharing bar on the side, as it blocks the recipes on iPad. I’m sure I’m not the only one that uses my iPad for recipes when cooking, rather than booting up the PC, and printing it off. A more sustainable approach to waste less! When deving a website, it’s important to consider all platforms! (mobile and tablets!) 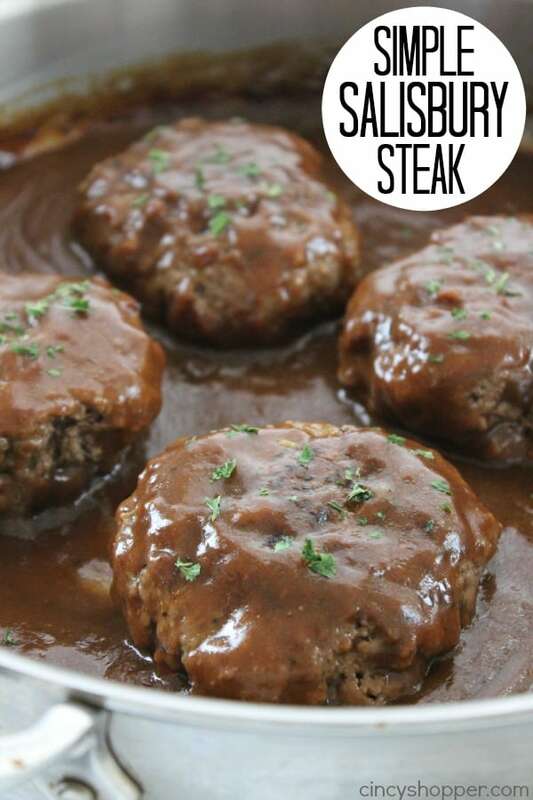 Making this one tonight, even with the challenges of reading the directions! Can’t wait! I am so excited to find this recipe. This is also one of my favorite hamburger helpers. After much research I have stopped eating all boxed food and make everything from scratch. I have been so lost on how to make this, thank you. My family will be pleased thus evening. Thank you! This looks so good! 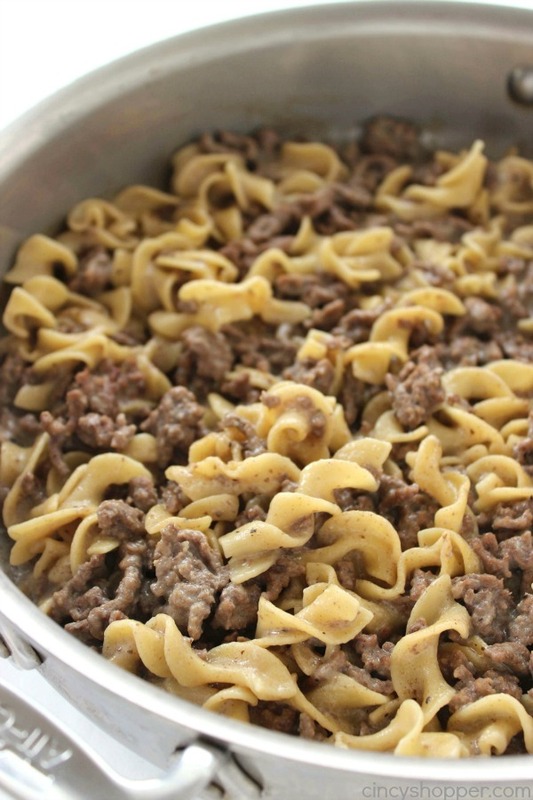 Beef noodle is mine and my kiddo’s favorite, too, but I’m trying to be more cautious of what I’m eating and what I’m feeding him. Is there any chance you could provide the nutritional information for this recipe? Hamburger helper out of the box is truly atrocious in that area! Made this tonight – was very good but quite salty. I’ll leave out the salt next time as the 3 buillion cubes are enough; will also cut back on the garlic powder & add an additional 1 cup noodles and 1 small can sliced drained mushrooms. Husband liked it very much. 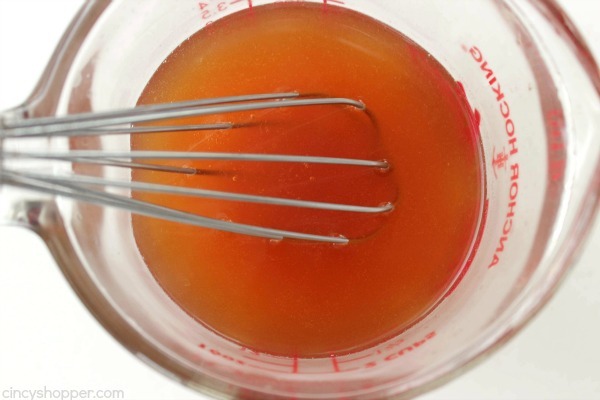 I don’t have bouillon cubes,so can I use beef broth instead and how much should I use. Thank you. I really liked this recipe, it was a tad too salty so I will cut out the added salt next time. I followed the recipe (minus the salt). Bought 2 8oz bags of egg noodles (equally 2 cups) but it was WAY too much noodles, with not enough liquid for the noodles to sit in!? So I doubled up and made another batch of sauce to add. Noodles are still kinda dry kinda dry, but the flavor is there! I’ll try one bag of noodles next time and double the recipe. I so rarely post a comment to anything online but had to take a second and do one for this recipe. 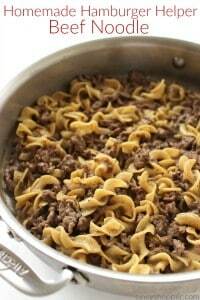 I thought it was delicious however hubby said this was the best hamburger helper that he has ever had! Getting ready to fix it again tonight. Thank you!! I too am excited about finding this recipe and will make it again. Next time I will decrease salt by half, decrease garlic powder by half, and increase water by 1 cup. Probs decrease onion powder a little and may add a boulion cube. I Think those changes will make it taste and act more like the box. Thanks! 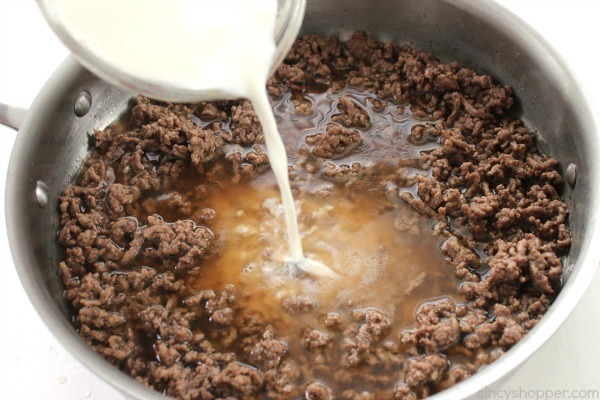 I use 5 cubes of beef bouillon, just a little onion powder and follow the rest of the recipe and my kids like it way better than the boxed and it’s much healthier. I’m about to try this recipe with gluten free noodles for my celiac daughter. Anymore recipes like this? Great recipe! I haven’t tried adding more bouillon cubes yet, probably will the next time. I usually add some Worstershire to this, cut the salt in half, and put some frozen peas in as well. I’ve also always used 3 cups of egg noodles instead of 2 and it seems about the right proportion. Made this today. Delicious and so easy. Will definitely make again. Thanks!